Indiana Gov. 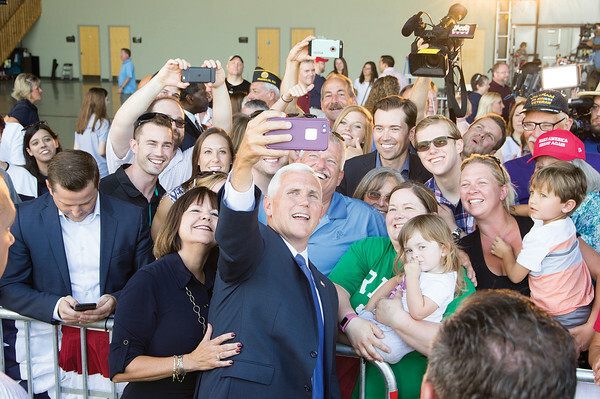 Mike Pence signed autographs and took photos with supporters at the Indianapolis Executive Airport Saturday after a brief speech. It was announced Friday that Pence would be the running mate of Donald Trump.